When you enable gift certificates for your store, you need to make sure the Gift Certificates page is available on your website for customers to purchase the gift certificates from. You can provide access to the page via a button or link or you can make the page available as a sub-page. Gift certificates need to be enabled for your store before you can make the Gift Certificates page available. Click here for instructions. Click on the page from which you want to add the link to access the Gift Certificates page. Select Single Link from the Link Type drop-down list. Select Gift Certificates from the Page link options drop-down list. Click Save and then click Publish in the Page Settings Bar at the bottom of the screen. Click on the page from which you want to add the button to access the Gift Certificates page. The Button Settings popup will be displayed with the Properties tab selected. Enter Gift Certificates into the Button Text field. The Add Link popup is displayed. Select the Website URL radio button. Enter your website URL, followed by "/page/shop/gift-certificates" into the URL field. Close the Add Link popup. Click OK in the Button Settings popup. Click Add at the right of the Products page tab. Enter, "Gift Certificates", in the name field in the New Page name popup. 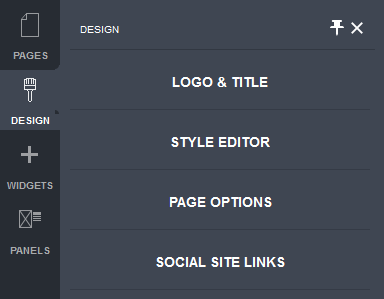 The Products menu is displayed in the Content Area as you would see it when it is expanded, containing default menu content. The new Gift Certificates sub-page will appear in the menu. Move the mouse pointer over the Gift Certificates link. Select List of Links Settings from the drop-down menu. The List of Links settings popup is displayed. The Gift Certificates menu item will now load the Gift Certificates page when selected on your website.